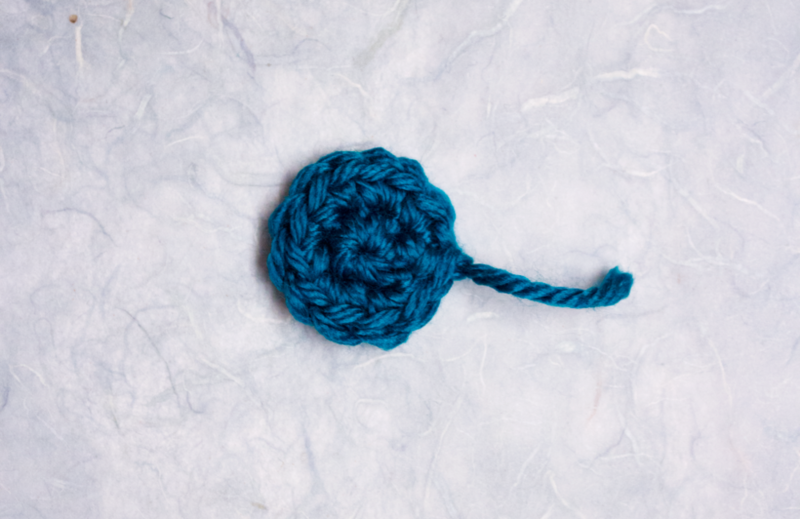 If your crochet amigurumi, flowers, coasters—anything worked in the round—has a small hole at your first round, then this is the tip you’ve been waiting for. You can banish that little starting hole by beginning your work with an adjustable ring, also known as the magic loop or ring, instead of starting by crocheting into a small ring of chain stitches or into a single chain stitch. 1. Chain 1, work all stitches of round one into the chain 1 (left). 2. Chain several stitches, join with slip stitch to form a loop, work all stitches of round one into the loop (right). for starting crochet projects that are worked in the round. For more tips, watch my other video tutorials on crochet stitch guides.